Today we hear the sad news that the last remaining hope for comedians the world over has left the race to be President of the USA. In the early hours of this morning NZ time Rick Perry announced he was pulling out from the race. Comedians the world over have shed a tear, first Donald Trump, then Hermain Cain now the last of the ‘genuine’ jokes has fallen, Rick Perry says goodbye. I guess they can still make jokes about Santorim’s name, or Romney’s uncomfortable natures…but the last of their bread and butter has gone. About the last point of interest is who Perry will now endorse. Politicians in America do this hoping that their followers will then support that candidate…however in this case I am sure the candidate who if being touted by the media as the one likely to receive that endorsement is more than a little uneasy about it. 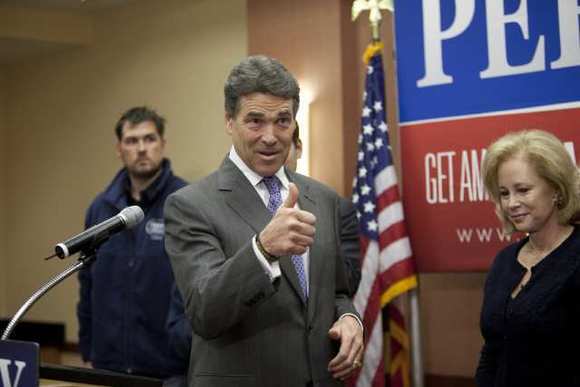 As a part of his withdraw from the race, Rick Perry also endorsed Newt Gingrich. “There is no viable path forward for me in this 2012 campaign,” he said in a news conference in North Charleston, S.C. “Today, I am suspending my campaign and endorsing Newt Gingrich for president of the United States. Newt Gingrich found himself in a little hot water speaking to the N.A.A.C.P. saying “If the N.A.A.C.P. invites me, I’ll go to their convention, talk about why the African-American community should demand paychecks and not be satisfied with food stamps.” The N.A.A.C.P. was not impressed. Gingrich was then challenged at the latest South Carolina debate asking if he acknowledged that some Blacks could have found that offensive, Newt’s response was a simple, “No!” and then went on another diatribe about teaching the unemployed how to get a job, keep it and own it. I was going to make some point about the hypocrisy within politics in America, or how these rich white men seem to have lost touch with the “99%” but I think I’ll just say that Perry and Gingrich are GOP nominees…what else would you expect? Previous Article Goal Keeper Fail! Next Article Were you aware NZ has its own genuine Superman!